Call it a sixth sense, but sometimes you just know when an item is going to fly before it's barely even hit stores and you hadn't even seen it before. 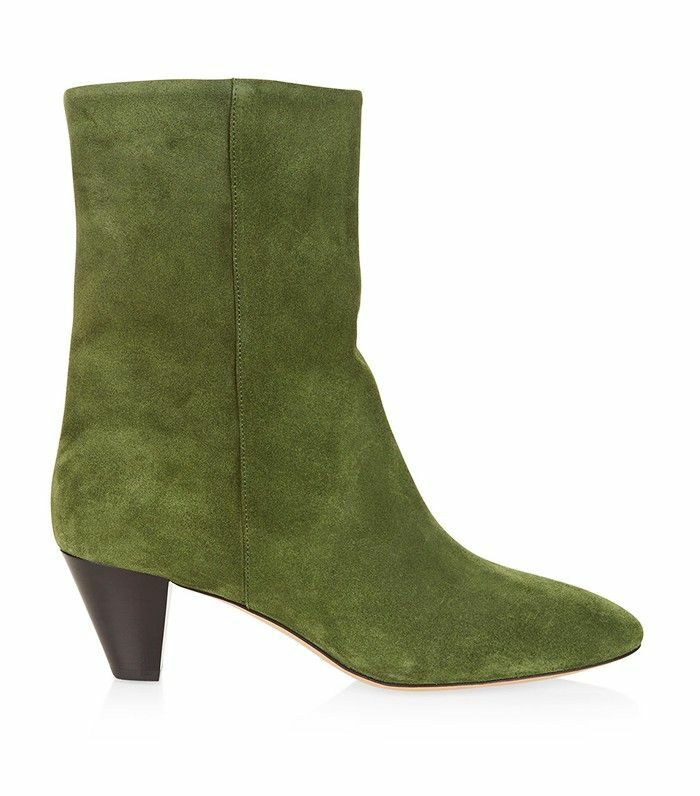 There has been no six-month-long fanfare or inside hype surrounding Isabel Marant's Dyna boots (from her more reasonably priced Étoile line), but one look at them—and the roll call of major stores that have bought them in different colours—and you can clearly spot a winner. The low, cone-shaped heel combined with a loose-fitting, longer-line ankle boot silhouette reminds us of a classic 1980s style—a trend that the French designer has enthusiastically supporting via her leather and zebra print–filled A/W 16 runway. It's set to be the decade to channel from now on. But it's also those same details that make these both wearable and flattering. A roomy cut makes ankles look slimmer in an instant. They're casual enough to wear throughout a British summer (perfect for a festival) and, added bonus, this heel height makes lasting all day long a total breeze. Plus, the different suede hues means you can rely on ol' trusty black or easily dip into something new (FYI: We'd go for khaki). Will you pick up a pair of these? Let us know in the comments box below and find out the eight secrets to French style to start wearing them like a Parisian.